We are located right in front of a wonderful beach with an incredible beach break and surrounded by giant ancient trees. There are at least 5 different surf breaks to choose from in the surrounding area in short walking distance. In Busua you'll find nothing but warm waters, big variety of waves, no crowds, and true beauty of pristine nature all around. 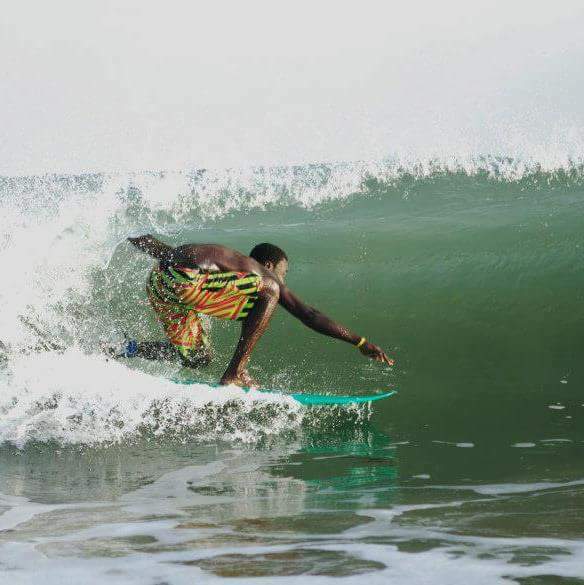 Busua Beach on the West Coast of Ghana is a friendly surfers paradise still to be discovered. Surrounded by views of outstanding natural beauty, Busua beach offers a great sandy beach with countless beach breaks. In Busua you will find many restaurant and bars where other groups of travellers, volunteers, surfers and locals share stories and dance into the night. Visitors that come to this exotic piece of coast with peaceful villages and colonial slave forts can still experience the the genuine Africa! The Ghana Surf Camp, is one of the very few accommodation options in Busua and a great place to stay close to the beach, restaurants and bars. 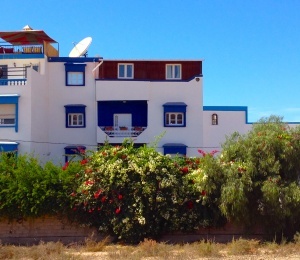 It is also well known for it welcoming vibes, private gardens, good music and communal events. This where things happen in Busua! Breakfast is served on the front deck terrace overlooking Busua's beautiful beach giving you a rare feel of tranquillity in the morning. 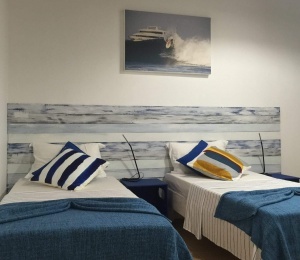 Each King size room has an ensuite bathroom and a ceiling fan. On the Dormitory sleeps up to ten people with shared toilets and showers. The garden is divided by a lagoon that flows to the sea with some green areas with hammocks, a Beach bar, fire pit, fruit trees, a slackline and chill out area. A great option for anyone looking to learn to surf in a tropical destination. 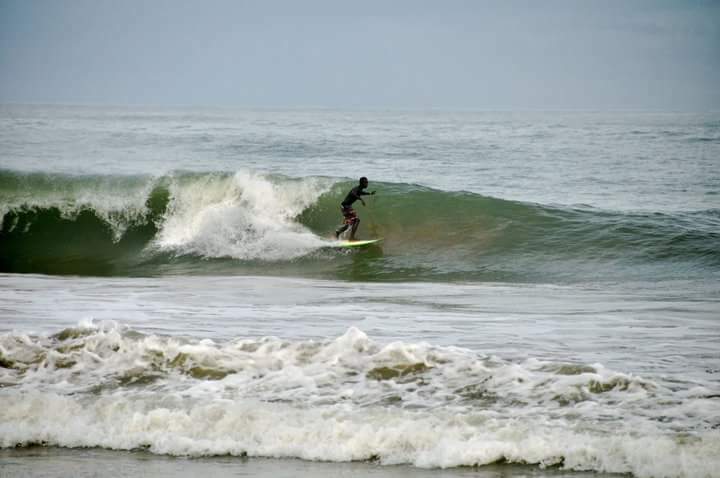 The experienced surfers can paddle to the the advanced point (Black Mamba) or book easy trips along the coast to find more challenging and potentially virgin waves. The village of Dixcove, just around the headland, has a fantastic point break, surfed predominantly by incoming foreign surfers who dare to go a bit further along the coast. 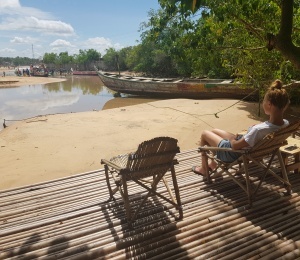 While Cape Three Points, a 30-minute drive west, has a hollow incredible right-hand right in front of a luxury eco-treehouse resort, with its ramshackle bamboo bar, really nice for some drinks after a surfing session! SURFINN © 24-04-2019 04:19:29. ALL RIGHTS RESERVED.